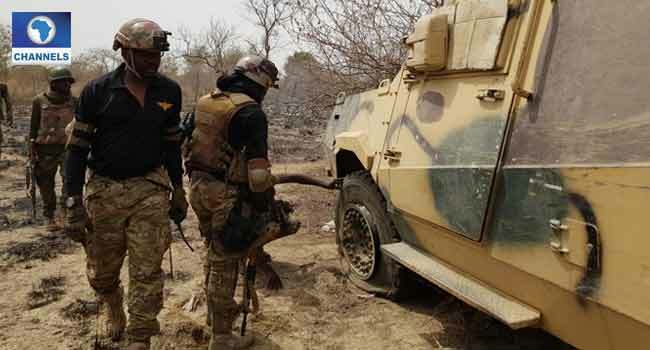 Troops of the 33 Artillery Brigade, Operation Lafiya Dole have killed four members of a militia group whom they encountered during their patrol at Burra Junction in Ningi Local Government Area of Bauchi state. The troops who encountered the armed men on Saturday, said on sighting them, the militia opened fire on them (the soldiers) but they acted immediately killing four of them in the process. This was disclosed in a statement signed by the Director Army Public Relations, Brigadier General Texas Chukwu on Sunday. Also according to the statement, another nine were said to have been arrested and the army has promised to ensure that the remaining fleeing criminals are caught. “The troops are closely in pursuit of the fleeing militias with the view of apprehending more of them,” Chukwu stated. Meanwhile, a soldier was said to have sustained gunshot wounds. He was however rushed to the hospital where he was eventually stabilized.